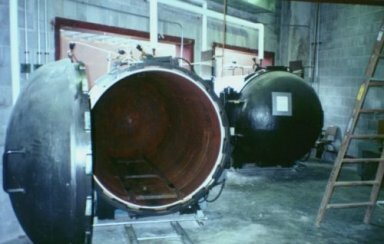 George K. Moss Co., Inc., in the steam business since 1958 and medical waste industry since 1982, specializes in the design, equipment supply and construction of industrial steam boiler and medical waste facilities. Moss is a full service company that designs, engineers and installs autoclave, shredding and material handling systems for the onsite disposal of infectious medical waste in a hospital environment. Designing and constructing an infectious waste facility is a technical service requiring highly specialized skills. To do the job correctly, you need the right people, equipment and experience. 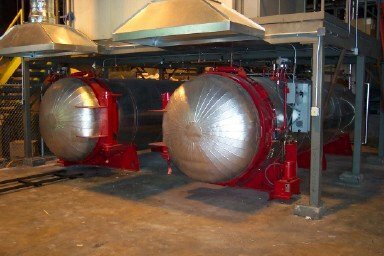 Our staff is highly experienced in the steam and medical waste plant design to help ensure your facility will operate as efficiently and maintenance free as possible. We also have a proud reputation of completing projects within the tightest budget and timeframe constraints. George K. Moss Co., Inc. is no newcomer to the field of steam & medical waste plant design and construction. Before any project is undertaken our sales, technical and engineering staff will meet with you to discuss your goals and facility requirements and then develop an approach to solve your short and long - term objectives. Once this is accomplished, Moss will design a system for optimum economic and operational results. Our project personnel provides a high level of planning that assures our customers their project meets the specified completion time schedule. From conception to completion, in budget, on time and constructed and designed to meet your expectations.